One of the most controversial aspects of the 5G system proposed for New Zealand (which is similar to the systems proposed for other parts of the world) is that millimetre wave frequencies are proposed to be used as part of the 5G systems. The article below describes how laboratory rats that were exposed to millimetre wave developed changes in their eyes indicative of the early stages of cataract formation. NB: Please note that part of the text includes graphic descriptions of the injuries suffered by the rats and does not make pleasant reading. Research published in 1994 (“Experimental studies on the influence of millimeter radiation on light transmission through the lens” Klin Oczna. 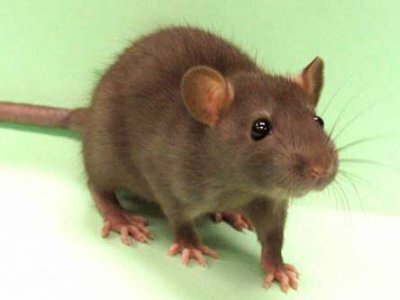 1994 Aug-Sep; 96(8-9):257-9) showed that rats exposed to millimetre wave radiation for only 56 days developed changes in the lens of their eyes. While the level in the study was higher than what is allowed under NZS 2772.1:1999 for the public for time averaged exposure, this study raises concern because a short exposure time (less than two months) caused damage to the lenses of the rats’ eyes. The study certainly suggests that it would be unwise to allow any increase in allowable non ionising radiation levels to facilitate the development of a 5G system. It also begs the question, what could happen to human eyes from lower levels of exposure to millimetre waves over a greater time period? At present, most people affected by cataracts are in their 70s. Introducing new technology (such as millimetre wave transmitters and 5G compatible smart phones) that may increase the risk of people developing cataracts after a relatively short time would seem to be a poor idea given the overstretched resources of our public health system.